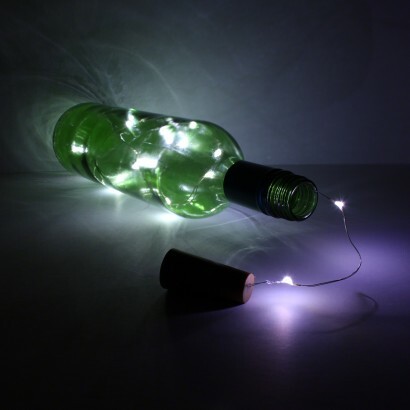 Transform any wine bottle into a lighting feature with delicate fairy lights. 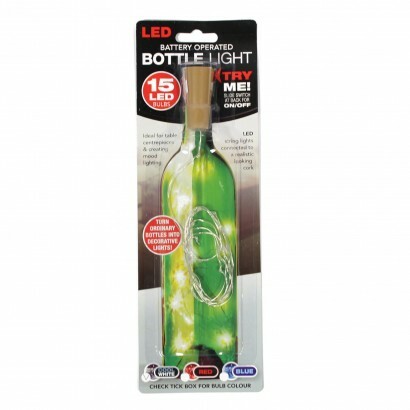 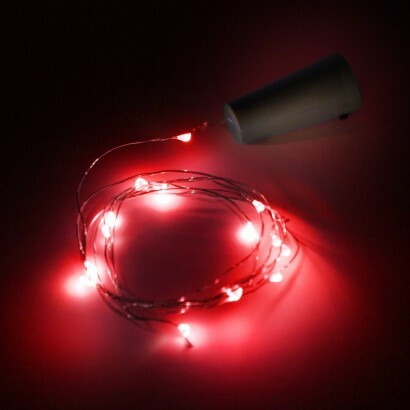 Battery operated cork string lights come in a choice of bright white, red or blue LED lights all set in poseable wire so that you can achieve a sparkling bottle light effect. 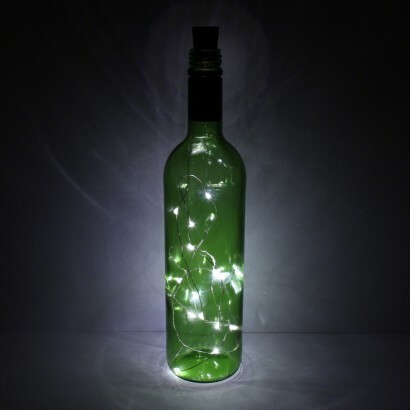 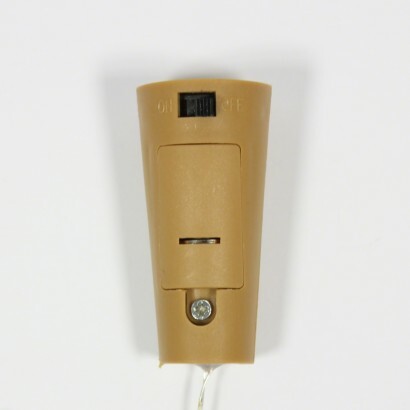 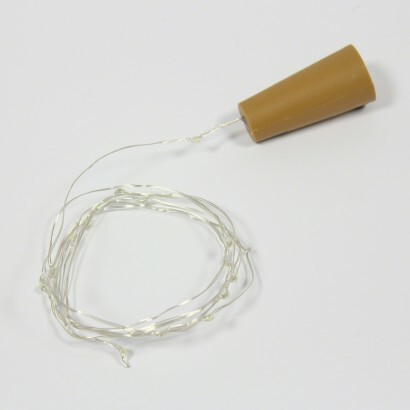 Ideal for creating table decorations and shabby chic lighting features, the wire is set into a plastic cork with an on/off switch so that all you need to do is place the cork in the top of your wine bottle for fashionable fairy lit bottle lights.